Along with being one of the greenest cities in Europe, Sheffield offers ghost hunters a wealth of paranormal opportunity. Graves park area is apparently a hot spot where at Bunting Nook, the ‘Broken Neck Lovers’ are reported to haunt the area. The story being that when they attempted to elope by horseback, they both fell, breaking their necks. The lane is the sight of reported hauntings where visitors claim that, “no bird even sings”. While in this area, look out for the ‘Saucer Eyed Dog’ that is said to have unusually large eyes and disappears into a wisp of mist if anyone tries to approach it. Carbrook Hall public house is the scene where Colonel John Bright, one of Oliver Cromwell’s allies, has been spotted standing at the top the stairs. Colonel Bright is not alone though, also experienced by visitors to this pub is the sight of an old woman who appears to be from the 1920s, a phantom Roundhead, a monk and an unidentified shadowy figure that throws items around the bar. Another fabulous spot to explore in Sheffield is the General Cemetery. Opening in 1836, the cemetery closed for burials in the 1970s but is home to some stunning examples of Victorian memorials, neo-gothic architecture and catacombs. A secret passage runs under the hillside and is said to lead to the house of surgeon at the top of hill, the passage being built to prevent bodysnatching. The cemetery is also the resting place for George Bassett, founder of the company that invented Liquorice Allsorts and one-time Lord Mayor of Sheffield. The area of Kelham Island retains its old steelworks (although now converted to apartments) and cobbled streets where even on the quietest of nights, you can almost hear the ghosts of Sheffield’s industrial past. Once you’ve located your ideal haunted hotel, Sheffield offers a wealth of fantastic museums, monuments and experiences to make your stay one that you’ll never forget. In addition, Sheffield offers wonderful eateries, the most ancient and quirky of pubs – check out The Queen’s Head, the oldest pub in Sheffield and location of a number of reported hauntings. Sheffield is also the perfect location for exploring the Peak District, just a couple of miles outside of the city so there is plenty to fill your days and nights in the area. Easily accessible by major motorways and rail links Sheffield should be on every ghost hunter’s bucket list. 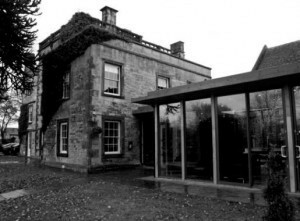 We feature just some of the most haunted hotels in Sheffield. If you know of a haunted hotel in Sheffield that we’ve missed, we’d welcome your suggestion. Just click on the ‘Contact Us’ link in the footer at the bottom of the website.